We have three new webstore items for CCA! They are all commissioned stickers by artists who graciously gave their time and talent to make custom artwork for an artist-series collection. One of the new stickers you can order is this cute cactus. 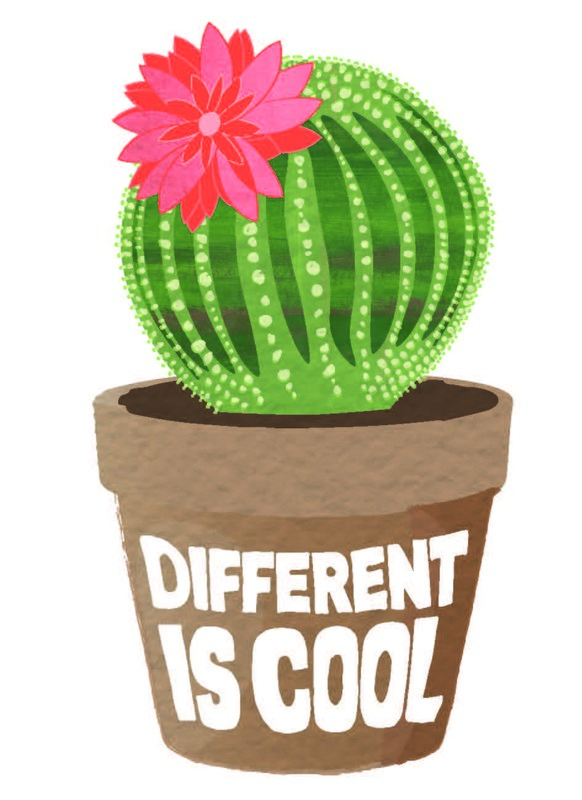 The "Different is Cool" cactus is first sticker and artist we're featuring, by Bindy James, of Brisbane, Australia. 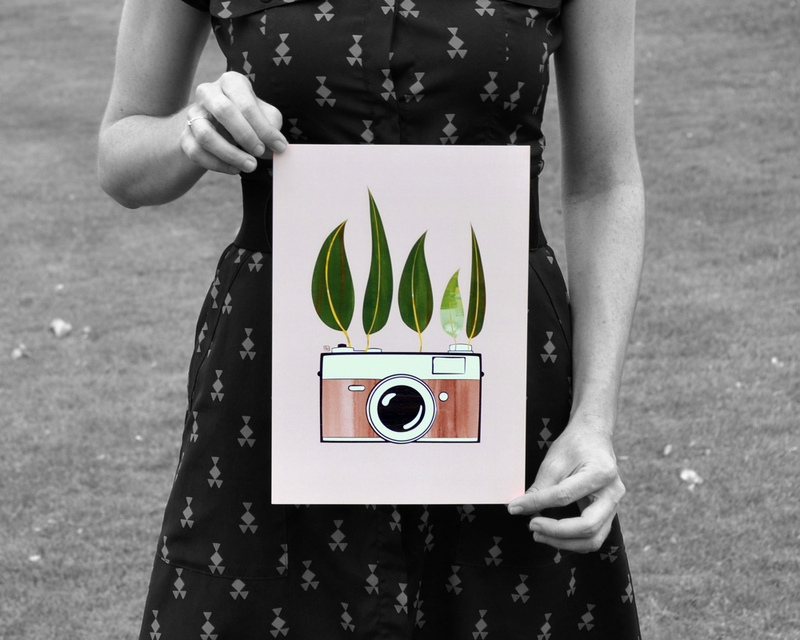 She graciously designed this adorable cactus sticker for CCA. Check out our exclusive interview below to learn more about her work and why she chose to create such a cool piece for CCA Kids. BJ: I've being playing with paint, collage, textiles and printmaking for as long as I remember but I have only being creating digital illustrations for about 4 years. BJ: I completed my graphic design diploma at the end of 2014. It was around this time I started to freelance and show my work on Instagram. 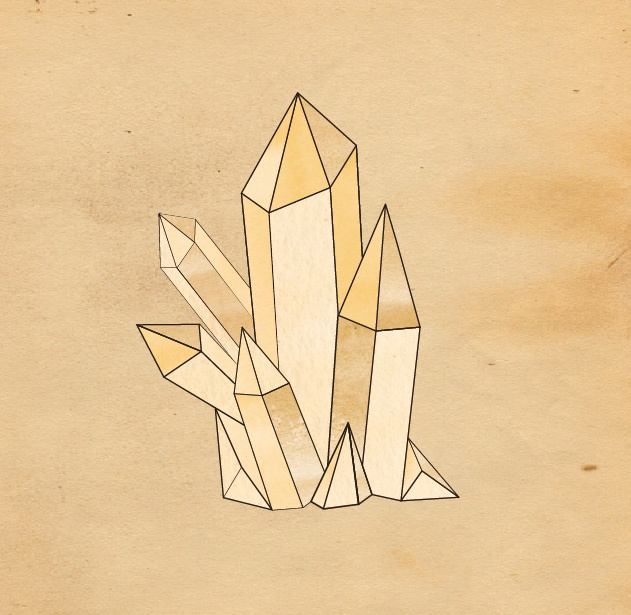 BJ: All my illustrations begin as sketches on paper and are then pieced together digitally. Even though I'm a digital artist, the way I approach my art is more like a collage artist. I work with an array scanned handmade textures, photos and subtle patterns. The time it takes to complete an illustration can vary depending on how complex the work is and how much research is required. BJ: The earliest inspiration I can remember came from the artist Jeannie Baker, illustrator and author. As a child I loved her book “Where the Forest Meets the Sea.” Her amazingly detailed collages of the natural environment has influenced my work. At the moment, I'm loving the beautifully detailed plant and animal drawings of UK illustrator Katie Scott. CCA: What’s your favorite illustration you’ve done? 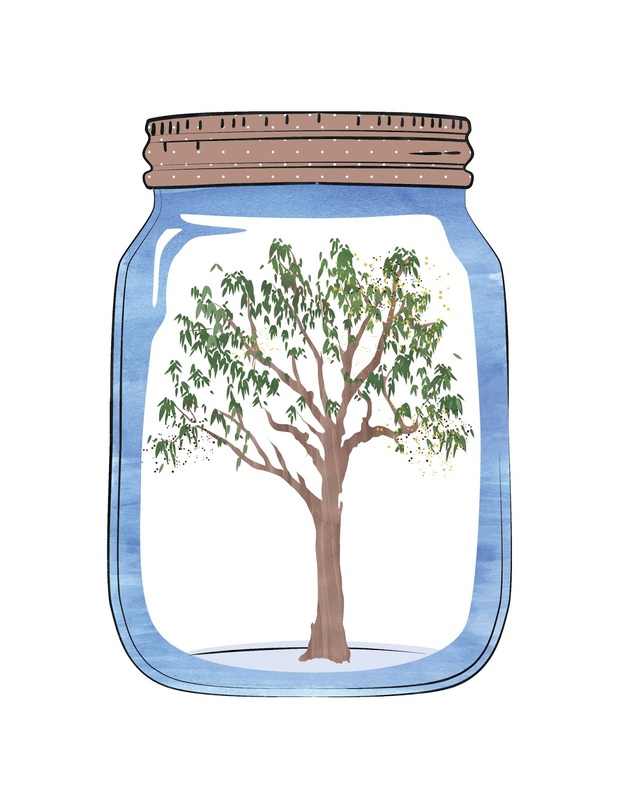 BJ: My favorite illustration so far is 'Eucalypt Preserves,' inspired by the forests of my local area. BJ: My inspiration comes from nature's oddities. Often the small, overlooked natural objects that I can pick up and hold. I love fungi and succulent plants, shells, coral, star fish (anything rock pool related) leaves, gum nuts, seedpods, flowers and feathers. When I lack inspiration I go to Museum in Brisbane and visit the biodiversity specimen collection. So many creatures and nature's treasures to look at. 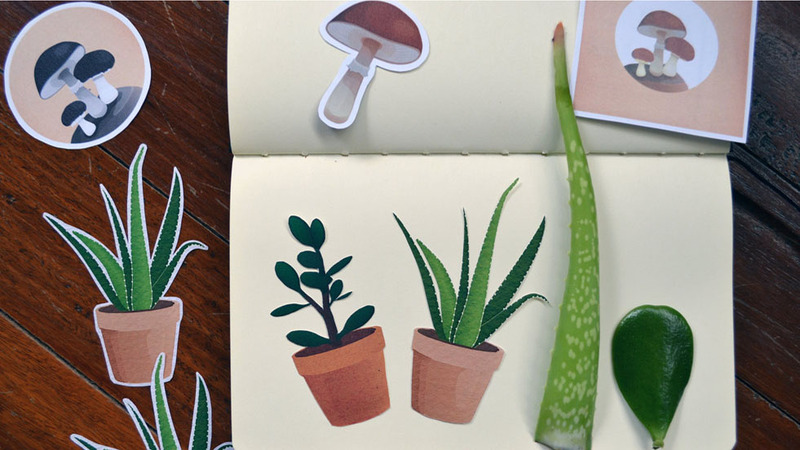 CCA: Aside from illustration, do you dabble in other kinds of art? BJ: I do like to mix it up once in a while and create traditional collages and draw with colour pencils. CCA: What does a day in your life look like? BJ: By day I work as a Graphic Artist for an online training provider. 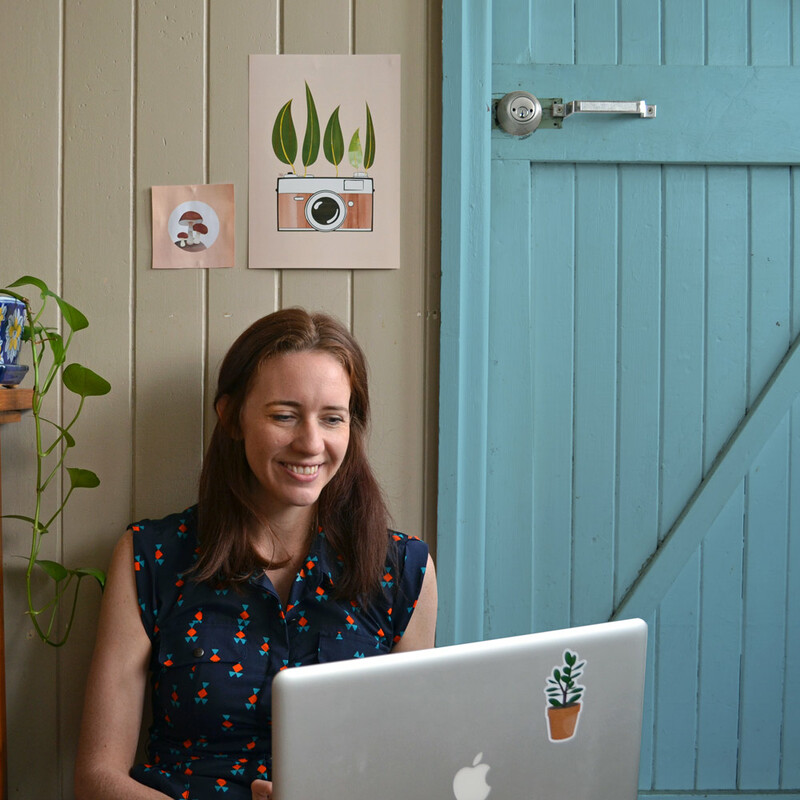 By night (and most of the weekend) I work on my illustrations at home in my cosy work space. CCA: What does kindness mean to you? BJ: Reaching out to others and sharing the love! BJ: CCA does amazing work. Until recently I hadn't realized the diverse involvement that CCA has in this cause. The stories that come out of your programs are inspiring. I'm thrilled to be able to contribute! Thanks, Bindy! You can see more of her art here. You can order your own sticker on our webstore but hurry, because these limited edition cuties won't last forever!